The following items, which contain historical and cultural information about Chickasha and Grady County, are all available for use in the Library. Information can be copied for 15 cents per page or scanned at no cost. Staff can assist you with finding the resources located behind the desk. Adobe Reader is needed to view the links below. 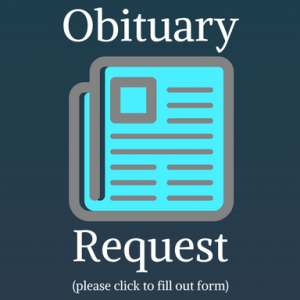 If you live out of town or are otherwise physically unable to visit the Chickasha Public Library, you can click here to submit a request for an obituary lookup. Please include as much information as you can about the deceased person. Chickasha newspapers from 1898 to the present are available on microfilm. There are also some issues of other Grady County newspapers on microfilm. Click here to read microfilm instructions. Here is a list of current and historical cemeteries in Grady County and their approximate locations within Grady County communities. More information about Grady County cemeteries, including maps, photos, and information about specific people buried there, can be found on this list from Find a grave. Other local organizations that can provide helpful genealogical information are the Grady County Historical Society (405-224-6480), the Grady County Courthouse (405-224-5211), and the Church of Jesus Christ of Latter-Day Saints (405-448-9958- call for appointments to receive free help from family history experts). 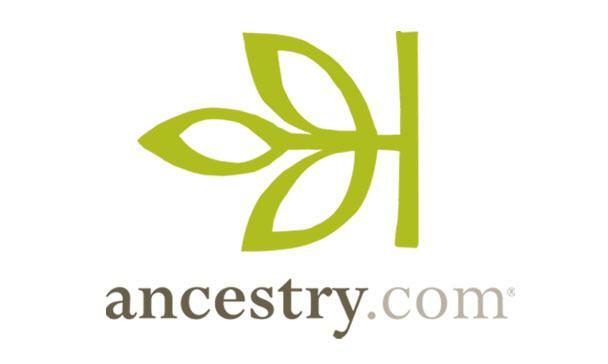 Ancestry.com. Search census, military, immigration, and vital records. Available on the Chickasha Public Library computers. 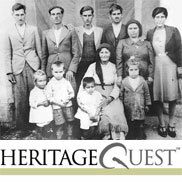 Heritage Quest. Search city directories, census records, Freedman’s Bank, Revolutionary War, and online family history books. Available on any computer. These websites can be accessed on any Internet device. Ancestry charts – Printable charts to document information about yourself and your ancestors. Chronicles of Oklahoma – Historical articles about Oklahoma. Dawes Final Rolls – Search for ancestors who were listed on the Dawes Roll (1898-1906). Encyclopedia of Oklahoma – Information about Oklahoma’s history and culture. Family Search – Searchable historical records collected by the Church of Jesus Christ of Latter-Day Saints, including scanned images of original documents. Find A Grave – Find your ancestors’ graves, information about their immediate family, photos, obituaries, and more. Information is continuously being added and updated by volunteers. Indian Pioneer Papers – The Indian-Pioneer Papers oral history collection spans from 1861 to 1936. It includes typescripts of interviews conducted during the 1930s by government workers with thousands of Oklahomans regarding the settlement of Oklahoma and Indian territories, as well as the condition and conduct of life there. Consisting of approximately 80,000 entries, the index to this collection may be accessed via personal name, place name, or subject. National Archives Resources for Genealogists – Genealogical records from the National Archives organized by topic, including census, military, immigration, naturalization, and land records. OK2Explore – Searchable index of births and deaths that occurred in the state of Oklahoma. Included is limited information on births occurring more than 20 years ago and deaths occurring more than 5 years ago. Oklahoma Historical Society – Founded in 1893, the OHS has been collecting, preserving, and sharing the history of this land and its people for more than 120 years. Rootsweb – Searchable databases and user-submitted family trees. TravelOK Genealogy Resources – Information and resources to find Oklahoma ancestors. Vital Records – Birth and death records for all 50 states. © Chickasha Public Library. All Rights Reserved.